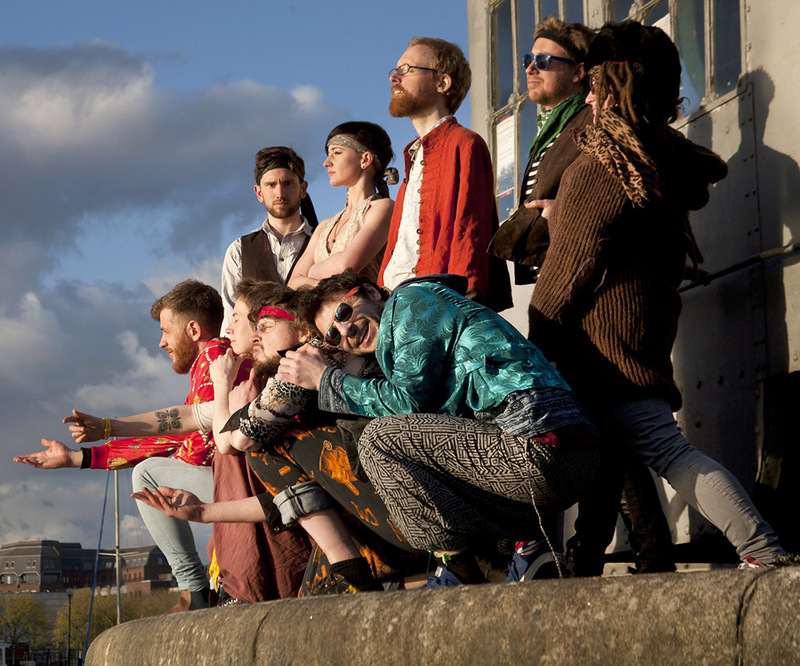 Seas of Mirth are a sizeable crew with a varying sound marinated in maritime, causing a ruckus throughout the UK and mainland Europe over this decade. Think folk instruments, worldly rhythms, prog rock-esque adventurousness and sea-based song concepts. 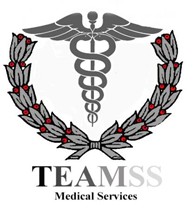 Expect plenty of nautical stupidity and theatrics at this high-energy live show! 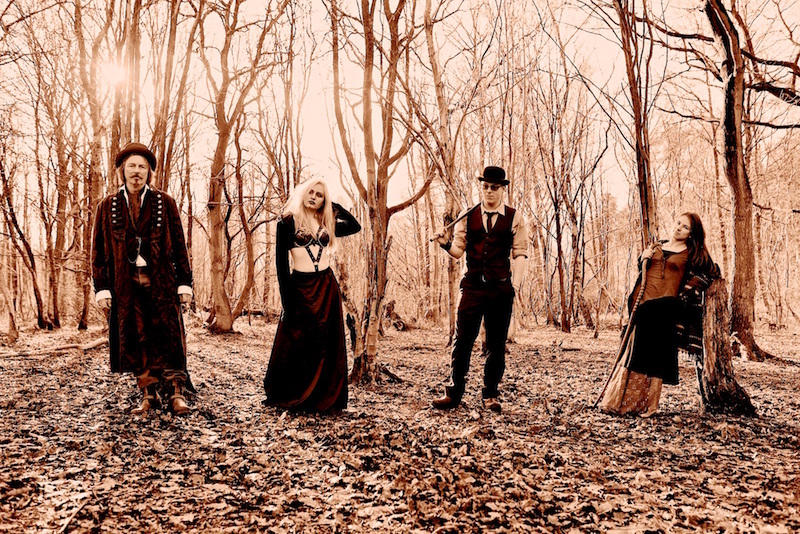 As well as a hip flask of spiced rum at all times, Seas of Mirth have two full-length albums under their belts, plus two EPs. 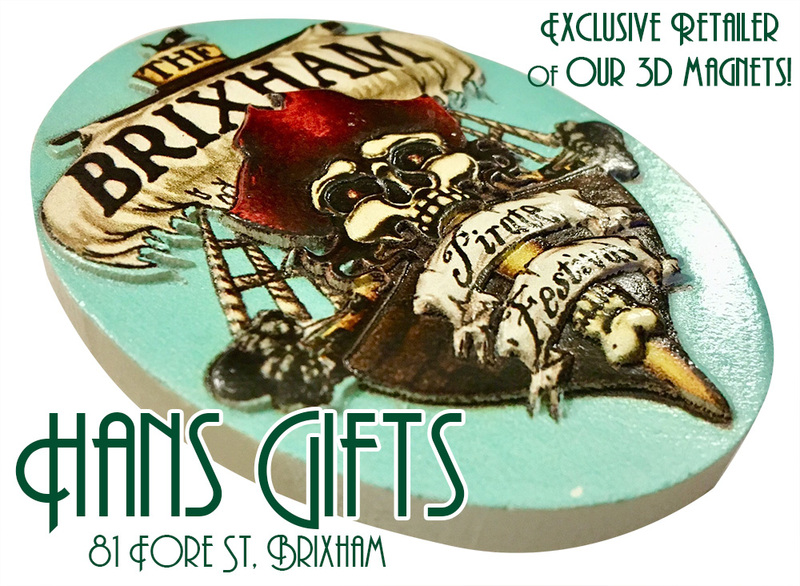 The latest of which – ‘Hark! The Headland Approacheth’ (released in 2016 by Nottingham’s I’m Not From London label) has been receiving rip-roaring reviews worldwide. Black Friday, a high energy Celtic-folk-punk home brewed in Cornwall have performed at many major festivals including Glastonbury, Boomtown, Boardmasters, Dounouinsel fest (Austria) and Electric Picnic (Ireland). 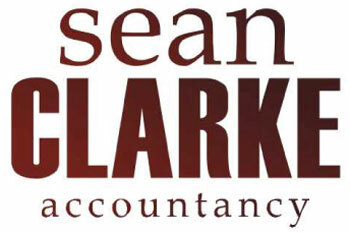 Their music is a fine mix of original songs, traditional Irish jigs, reels and ballads. 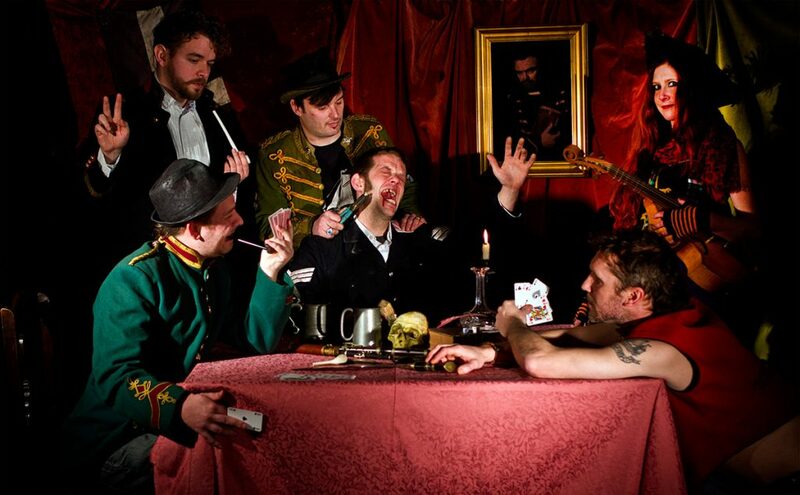 The band formed in 2006, when singer and acoustic guitarist, Tom O’Reilly, met mandolin player Martin Jump and bass player Helen Manley, They added drummer Ian ‘Jovian’ Hutchinson and electric guitarist Andy Boddington and with Sam Spake on the fiddle and Luke Dumper on banjo the line-up was complete. They have played all over the UK and Europe, playing well over 170 gigs in 2017 alone. And 2018 looks set to get even busier. 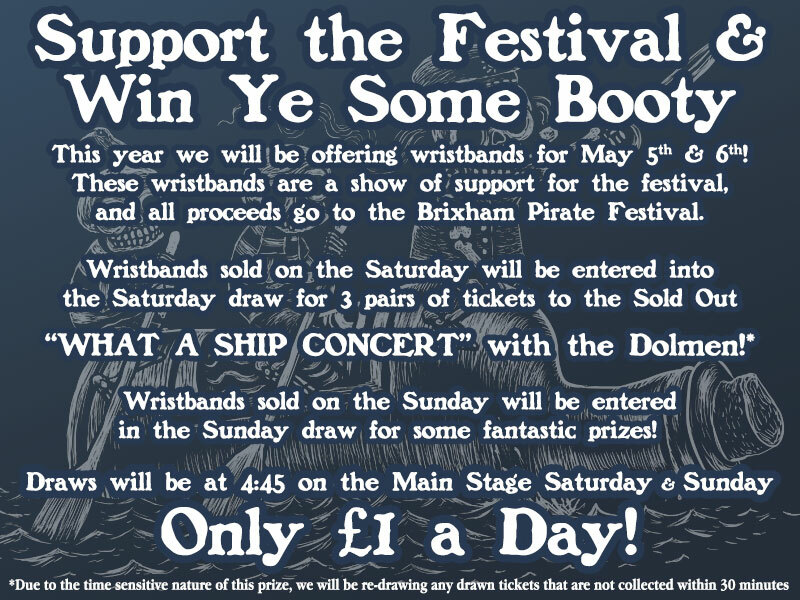 The band plays a variety of venues and festivals, such as The Maker Festival, The Port Eliot Festival, The Plymouth Folk Festival, The Looe Music Festival. Calstock Biker Festival, Burnham-on-Sea Folk Festival and Wimbourne Folk Festival, and they were featured on Sky 1’s top drama ‘Delicious’. After playing at the reknowned Gaz’s Rockin’ Blues Club in Soho, London, they were spotted by top BBC Radio 2 DJ, Marc Lamarr, who invited them to record a 6 song session for his radio show at the famous Maida Vale Studios in London. Whilst they were there, they played for and met their hero and Pogues singer, Shane MacGowan, who was very impressed, especially with their rendition of the folk classic Dirty Old Town. 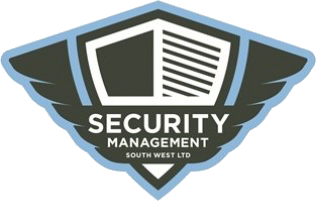 We are a non profit making, charity fundraising group working to raise money for the RNLI, Children’s Hospice Southwest and The Cornwall Air Ambulance Trust, among many other local charities. We have thus far raised more than £55,000 in our collection buckets. 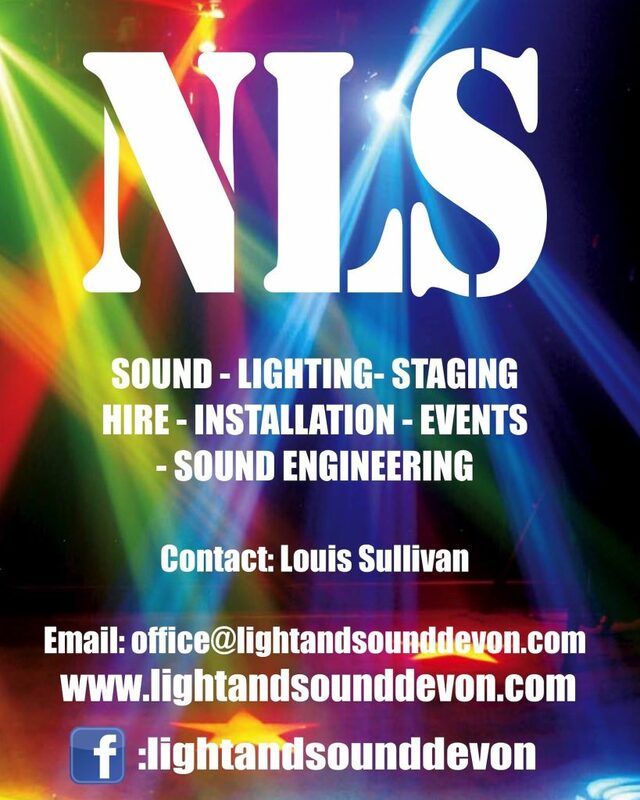 We are based in the St. Austell area in Cornwall and perform all over the west country at pirate events and music festivals. We sing sea shanties, Cornish folk songs and our own original material all performed in our own unique, rocky way. We are of course all pirates and bring flintlocks and cannons along to make our performances loud, riotous and rumbustificatious.  We are also a pirate re-enactment group who perform battle re-enactments, dramatic presentations, flintlock, sword and cannon displays. We have a crew of more than twenty murderous rogues so brace yer selves an them’s as dies ‘ll be the lucky ones. 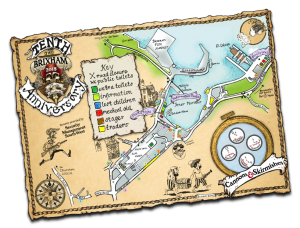 It is the groups 10th Birthday this Summer, so expect us to bring a goodly measure of party atmosphere with us to Brixham this year Along with all the usual carousin’ plunderin’, singin’ and hellraisin’. So please come and see us and join in the celebrations. We will be releasing our 6th album (The Mermaids Tail) in May and it promises to be our best yet. So those of you who have been following our musical adventures on our CDs over the past ten years are in for a treat. 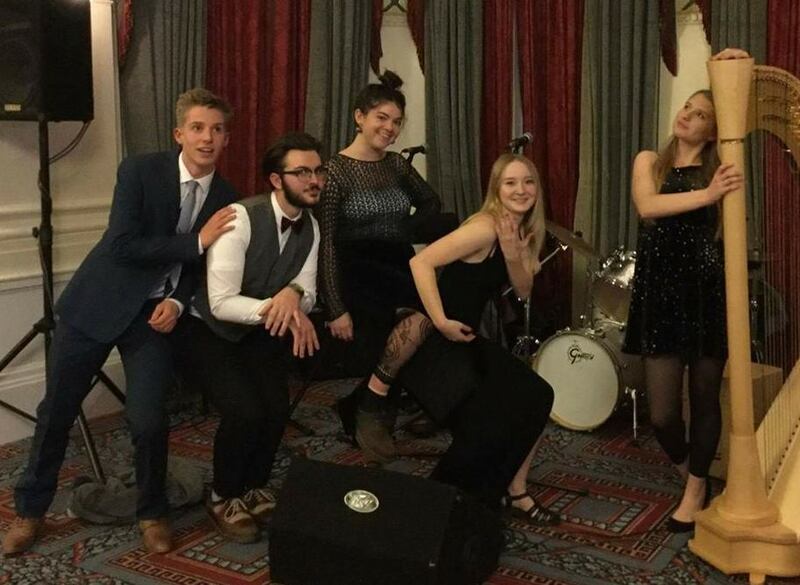 The band started in 2007 and has gone from strength to strength. Now on a third album, the Trip to Exeter shows great developments from the original themes. Lead track The Rocky Road to Dublin is a must at parties (that’s if you like wild parties..). They now headline a selection of festivals in the summer – check out the you tube videos. In the rhythm section there is the wild and enigmatic Bodhran playing of James King, complimented with his gravel voice and percussion. On the top line is premier fiddle player Mac Moulton who plunges from Irish set dances into the jazz style of Stephan Grappelli with surprising ease. 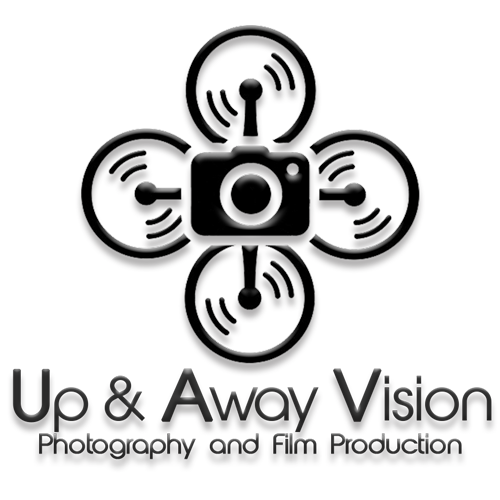 Our informative and fun learning experience is suitable for all ages. Guests can not only meet 17th century characters, understand sayings that are still used today, ‘do you know where “no room to swing a cat” comes from ?”, but can understand how life on board ship really was, see ships cooks at work, watch gunsmiths at work, gain an understanding of 17thc navigation, we have a hands on approach which will really engage and entertain your guests. Born in the dusty cellar of a ramshackle pub, to the sounds of waves crashing and the smell of real ale, Hornswaggle emerge armed with a carnival of songs to delight and astound. Pyrates! 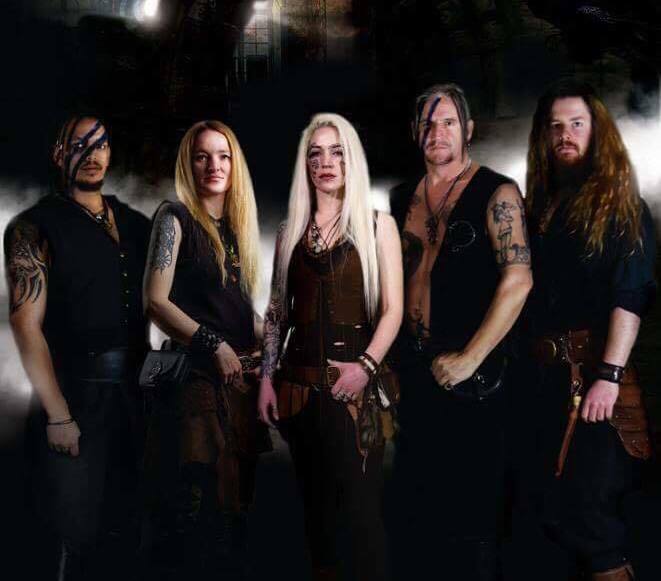 are a sea faring band of musical marauders who’ve imposed their own brand of pirate themed electric folk rock music to fellow pirates and unfortunate landlubbers not only in their own country but across the seas themselves. These able bodied bawdy balladeers, having left their native England, now sail from the shores of the Netherlands to many rowdy ports across the world. Armed with guitar, bass, drums and fiddle. 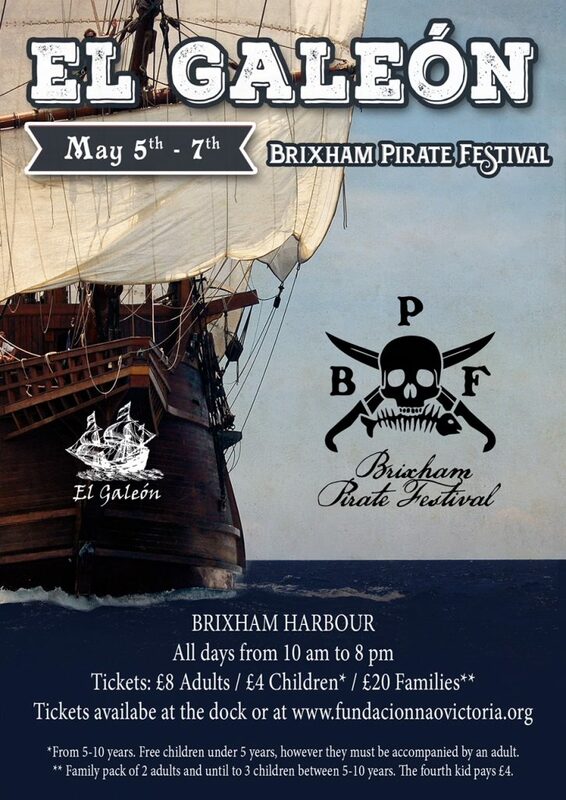 These gentlemen of fortune perform in full pirate costume and sing all songs in the quay of ARRRR! drinking songs and arr’cappella folk tunes that’ll be sure to have you tapping your foot and singing along in no time! Pyrates! 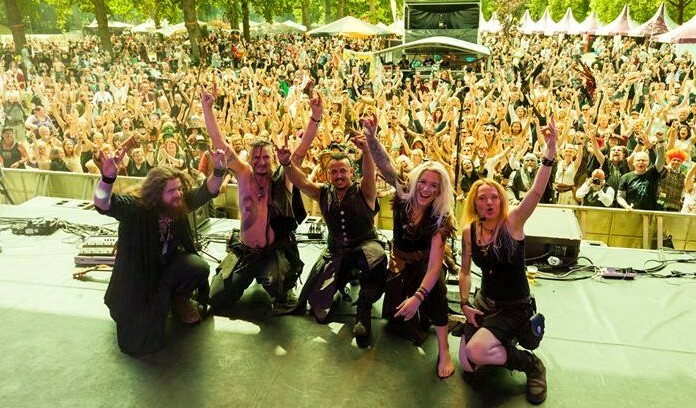 have performed to tens of thousands o’ scurvy dogs at numerous festivals over the years, making a name for themselves in the festival scene across the Netherlands, United Kingdom and Germany. They’ve performed well over four hundred shows in 7 different countries across the globe! 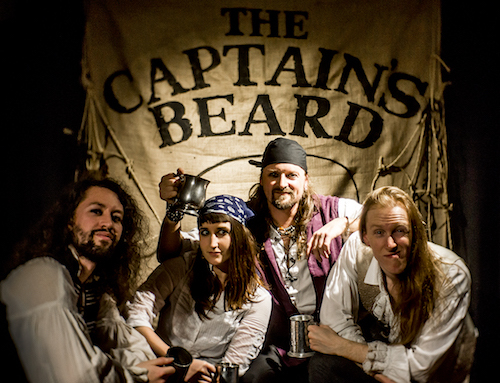 The Captain’s Beard are a briny bunch of Brightonians well known for performing traditional maritime folk music as well as original and piratical tunes of their own devising. In addition to 4 piece rum-soaked harmonies their line-up includes Accordion, Mandolin, Bodhran and a renegade Cello. 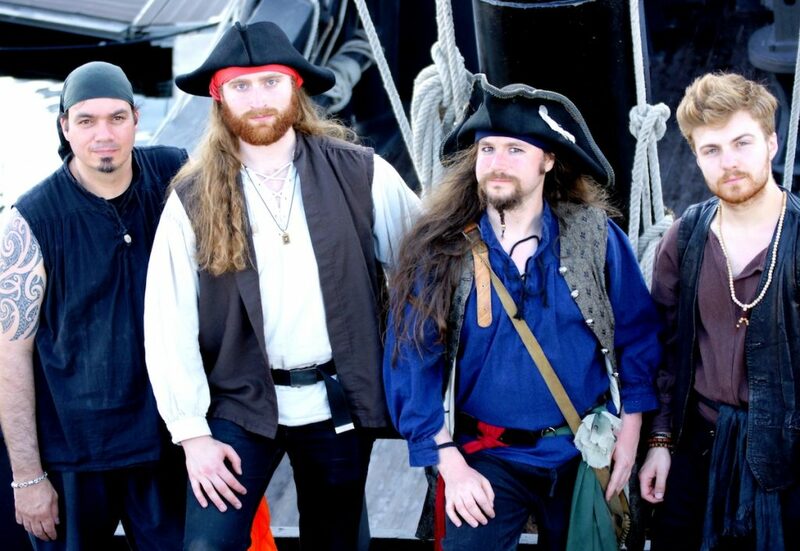 The release of their debut album “Same Ship Different Day” is scheduled for 2017 mid-March and “The Beard” will soon be roving the coasts of England and France to bring it to the ears of all you grog swilling, swashbuckling, hard jigging pirate lovers. 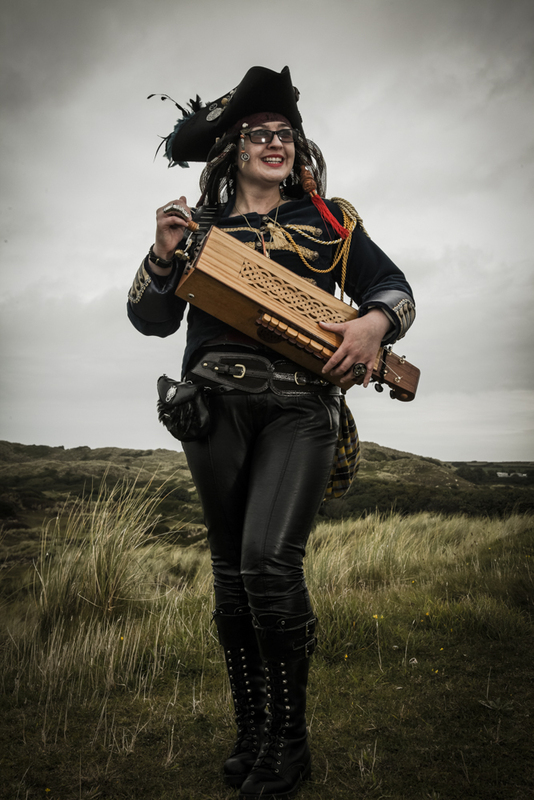 Recently described as “like a folky Nine Inch Nails”, GurdyBird combines a number of instruments, from virtual synths and drum machines to zither and her beloved hybrid symphonie hurdy-gurdy in her recordings. She is based in the South West of Cornwall and composes her own pieces and puts her folktronic-medieval-industrial stamp on covers of traditional tunes. GurdyBird’s sound contains many layers, and she is very much inspired by the darker aspects of history, folklore and a certain motion picture that was filmed close by! She is also often found unplugged and let loose in events and festivals, playing in minstrel mode acoustic numbers from bawdy olde days, traditional Cornish tunes as well as some medieval numbers and original compositions. GurdyBird’s physical EP, “Different Ships, Different Long Splices” was released in September 2014. 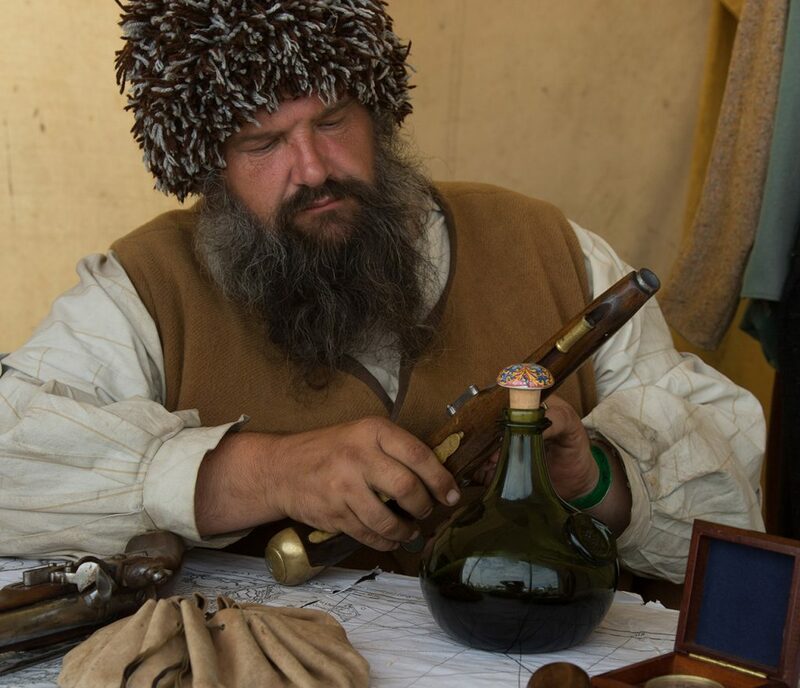 This year promises to be a veritable treasure trove of excitement with a boat load of exciting skirmishes, fantastical yet historical re-enactors, and everything in between! Click to read more!